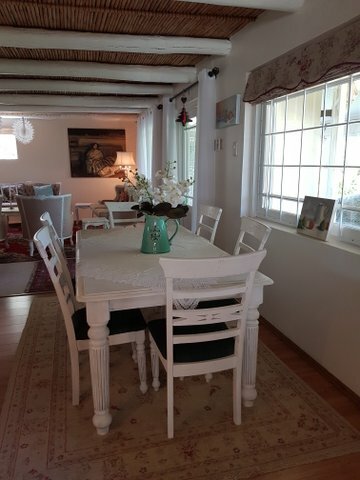 Situated within close walking distance to the center of the village, in the sought after quiet Park Street, you will find this tastefully renovated cottage. 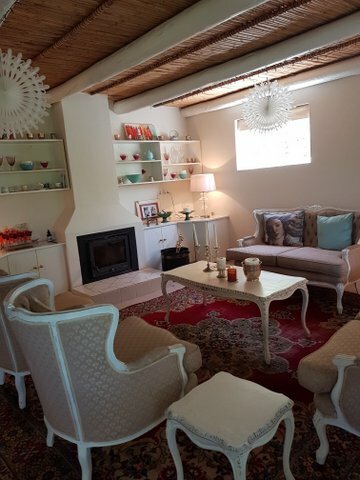 Bay Tree Cottage offers beautifully decorated, comfortable and cosy living areas with all amenities except for TV, fully equipped kitchen and lounge with fireplace. 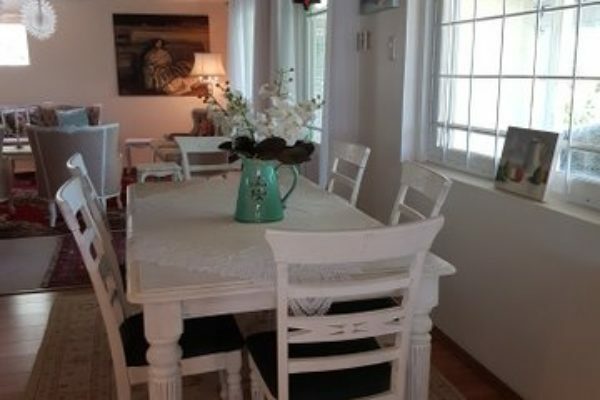 There is an inside dining room with 6 seater dining table. 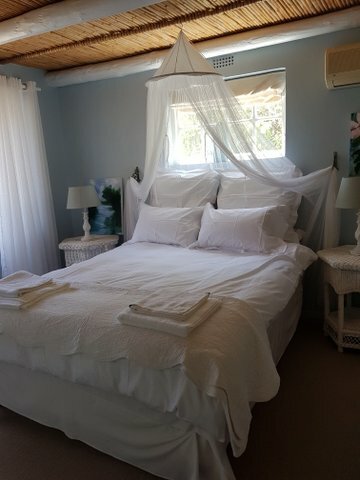 Bay Tree Cottage has three bedrooms, main bedroom with queen bed and en-suite bathroom with small bath, shower, basin and toilet. 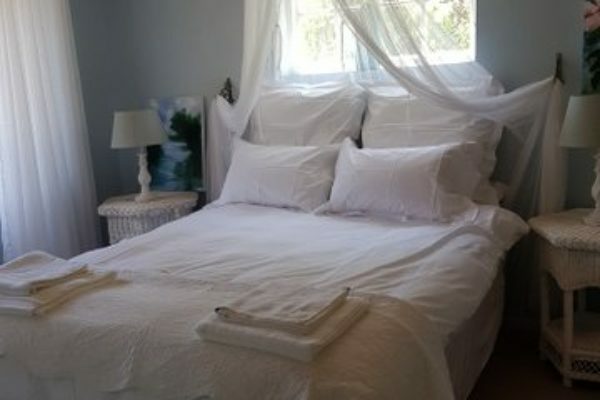 The second bedroom with two ¾ beds and third bedroom with queen bed, sharing an adjacent bathroom with shower, basin, toilet. 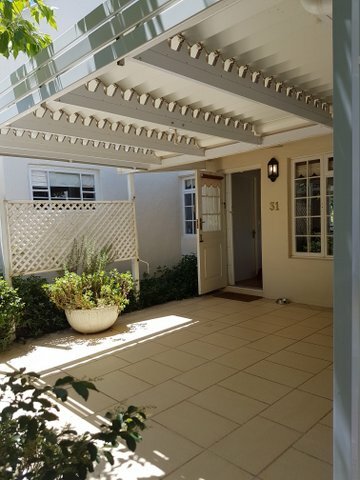 There is an undercover verandah with 6-seater dining area, overlooking a lush garden with small pond (which can be used for cooling down during hot summer months). 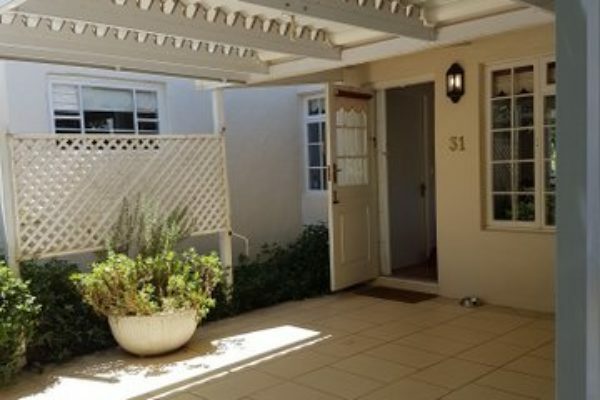 Built in braai facilities in the garden. 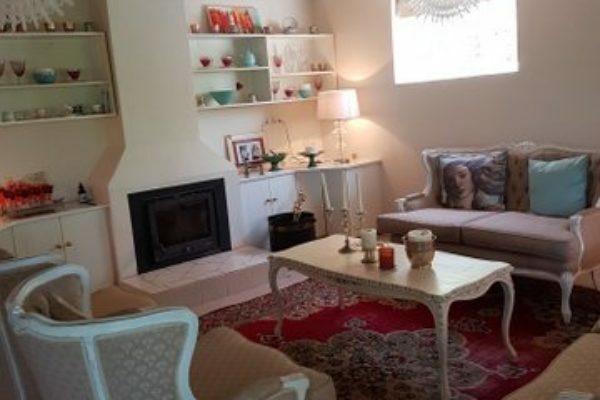 The cottage sleeps 6 guests comfortably in three bedrooms. Off-street parking on premises for at least 4 cars behind a gate. • Fully equipped kitchen with stove with gas hob/electric oven, washing machine, tumble dryer, microwave, fridge/freezer, toaster & kettle and Coffee plunger. • Check in time is 14h00 and check-out by 10h00 unless arranged otherwise.